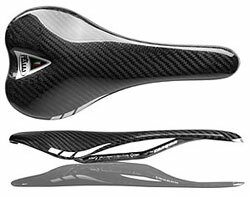 Selecting next bicycle saddle – quite a painful deal. Topics about it in the forums not finished. People are looking for, find, descuss, ask again, sometimes it helps, but the themes continues. It may be because reliable algorithm of choice probably not exist. In previous articles were identified common issues when choice the next bicycle saddle and a separate note about the longitudinal profile of the saddle. 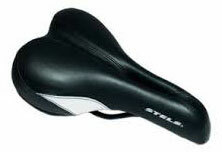 In this article I will share information about bicycle saddle rigidity. The rigidity of the saddle or in other words the saddle softness/hardness seems a matter of taste. Such an impression is because saddles made “for all tastes” from extremely soft “sofas” to extremely hard “carbo-boards”. 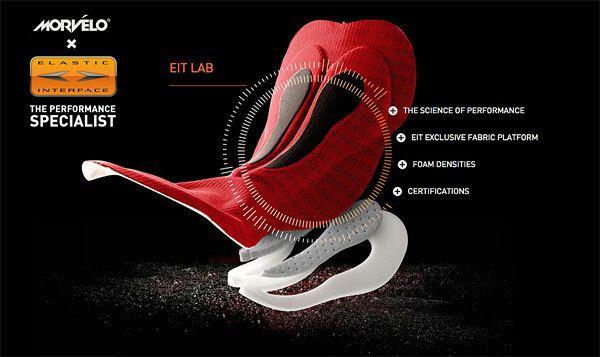 Perhaps it is difficult to apply a systematic approach this issue because soft seat upholstery and cushioning properties are highly dependent on the habits of cyclist. Manufacturers therefore do not tend to recommend the optimum softness, but rather try to provide the widest possible choice. There are objective complexity. Bicycle saddle rigidity is tested at least twice. The first time a “fitting” in the store or by reviews about the first impression (and such comments is a most) and the second time after a certain mileage, for example after 200 kilometers. Of course the first impression have much greater effect on the purchase. It can be very misguiding and lead to a soon selection of the next seat. 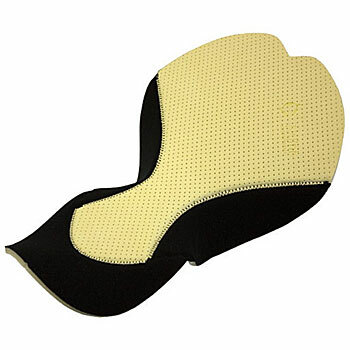 I’m particularly angry because of one more difficulty in choosing of bicycle saddle rigidity 🙁 Manufacturers of bikeshorts (more exactly manufacturers of chamois or in other words – diapers) have assumed the right to intervene to the setting of softness. 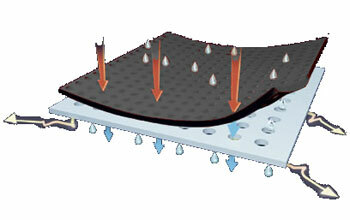 As fifth point work with a diaper-saddle system the result of total hardness could be be unpredictable. As in previous articles I consider the saddle for runs of 50+ km, 10 km without a break, with a sloping posture. Therefore, out of sight are the saddles of very soft range, seat with springs, and all sorts of seatposts with shock absorber. 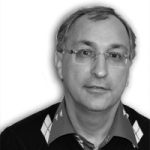 Although there are such people in network who ride a lot with such and strongly recommend. 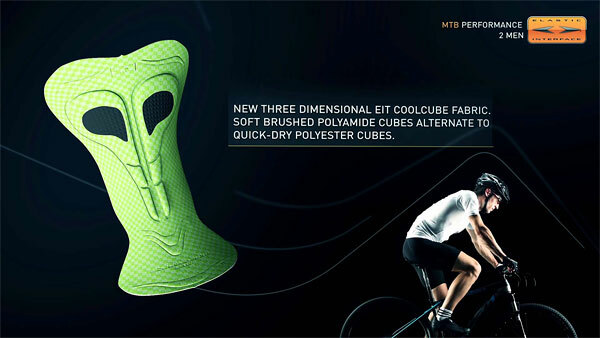 Remaining in considering range of bicycle saddle rigidity is still pretty decent, from the possibility to push by finger saddle surface to few millimeters to absolute hard surface. Most of the seats still more or less soft, “carbo-boards” take usually those riders who know exactly what they need. 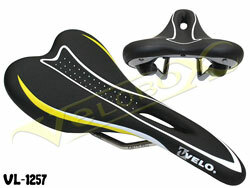 For what reason we need softness of saddle? I think that in order to minimize the load on the ischial tuberosity, which, as has already been considered (in first two notes), are not used for long sitting process, especially with the often “punching” from holes in the road. Tuberosity is the bones, which are located close to the skin. There are many such bones in humans body in other places, such as elbows, knees, feet. Usually they are more painful in the short-term hits than surrounding soft tissue. Therefore, ideally, the seat upholstery should allow, without removing the main support on the bumps, do not load it “dotty”, redistribute the load with soft tissue around. On the other hand the softness is limited by the fact that the bumps should not be too “fall”, otherwise it turns out that the main support will be not on bones but on soft tissues, blood vessels and nerves system of which is not adapted to long-term stress. 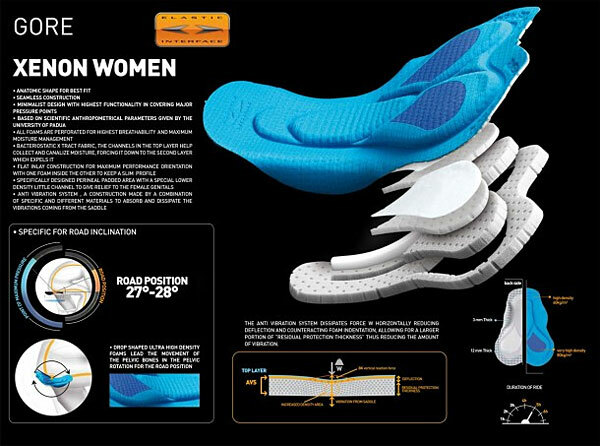 That is the main difficulty of bicycle saddle rigidity lead to the fact that the short-term overloads should be redistributed between the bumps and soft tissue while long-term load (weight) should be mainly on the bumps. This implies a very large personality: the optimum rigidity of the saddle is highly dependent on the weight, on the “bony or meatiness” of the fifth point, on the soft tissue structures, on the habits, on training… And it can be completely overlaped by characteristics of diaper. Honestly so long is hard to sit even on a chair, and on the bike you also need to turn the pedals (remember that the minimum distance of 200 km brevet means 7-9 hours pedalling) 🙂 The conclusion is not very pleasant: to no purpose try to design very much comfortable seat : ) May be vice versa on the saddle you should want to frequently change position and on every appropriate occasion to pedal standing up. Then, strangely enough, the fifth point will be in greater safety. I return back to the topic of bikeshorts in terms of softness / hardness. 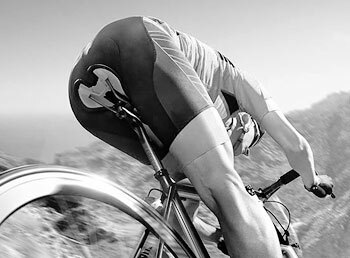 Between the fifth point and the saddle is the most important part of bikeshorts, the purpose of which to remove moisture. Russian slang of it is “pampers” (manufacturer of diapers for baby). In the English-speaking world, this part is called “chamois”, this corresponds to the history of bikeshorts (and perhaps much earlier, from the time the cavalry :)). I was lucky in my first bikeshorts this item to view was just a faux suede, with no frills. Inside is not detectable any inserts, and “detail” itself is pretty thin. Therefore diaper strictly fulfilled its task, without interfering with the characteristics of stiffness / softness of the seat. Bikeshorts wear out, so I had to try other “modern-tech” design, where the vast majority of the market. Of course there are a lot of “science”, it seems that much succeeded in that company Elastic Interface, which produces only diapers, but for many, many manufacturers of bikeshorts. The general approach in this respect for the knowledge of the human body – a neglect of similar knowledge of saddles manufacturers. As an illustration, here are a few pictures “no comment”. It would be desirable to start from something like a reference. 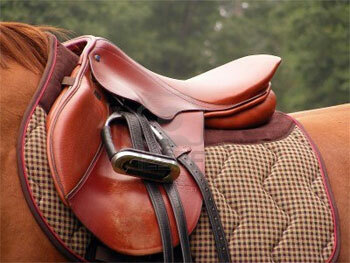 If saddle is softer then standard then soft, tougher – stiff. Frankly I find it difficult to talk about standards based on my own experience. Sensations from the old days “the steel single-speeds and leather saddles” I do not remember, but there were no problems, even though there was no such long distances as it is now. Also I can not say I have tried many saddles to make value conclusions. Nevertheless, as mentioned in the first article, I understand what is too soft (for me) saddle. Next seat was probably too hard. Inspite of carbon seatpost with decent working section of 20 cm at the MTB bike, small blows significantly penetrated to the ischial tuberosity. On the first brevet the second 100 km were on the road, Kimry-Tver. It is a secondary road laid through the woods, almost not inhabited. Very few cars, but rather the asphalt was fractured state. Not to say that a lot of holes and the road is broken, just a constant vibrating. At first it was painfully, and then somehow used. This led to a rather terrible bruises on the ischial tuberosity, if the brevet was a multi-days, then it would be over on this, ride on the next day was impossible. Then there was the saddle softer, “stock” saddle of road bike (Selle Italia Q-bik), and then the one that use now even softer (Selle Italia C2). Last saddle, though sometimes is under the critique on forums for softness, some comes to “numbness” of soft tissue. By the way on this saddle still twice I drove on that road, after a year and a year later. Everything was normal, but it was not pure comparison. Road was renovated a bit, and there was another bike (road instead MTB). Now I go back to the standard. 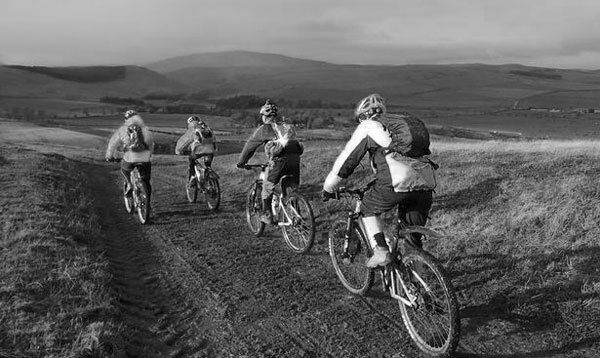 I think humanity has accumulated extensive experience of long stay in the saddle long before the invention of the bicycle 🙂 So when the same issue arose in relation to the bicycle, it is likely that a solution was found quickly. 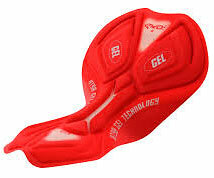 This is a thick layer of molded leather that provides sufficient cushioning from “breakdowns suspension” and apparently provides adequate redistribution of load between the bones and soft tissues. I presume that leather saddles are produced untill now by probably all the leading manufacturers, they may be of modern shape (though strongly more in weight and require more maintenance). 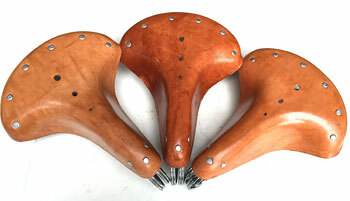 And leather saddles are very popular in some circles 🙂 This “reference bicycle saddle rigidity” has the following indicators: by the finger surface almost not have dimple, but generally under efforts of hand the form of the seat changes. The first impression of the leather seats, judging by the forums, without the “wow effect”, the saddle like a stiff and uncomfortable. But after 200 kilometers it becomes convenient. 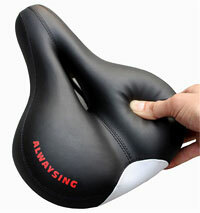 Its users find that the seat takes the form of the fifth point, repeats the “sculpting” of buttocks. I admit that just comes addictive of fifth point, as well as to other saddles. Probably my last three seats are really similar for “palpation” on one-piece-leather saddle. The closest is Q-bik, the previous is a little harder, followed is a little softer. It should be noted that the concept of modern “non-leather” saddles is the other, in their rigidity two layers take place, a platform and “padding” (if the seat – not “carbo-board”). Despite the individuality of bicycle saddle rigidity for distances of 50+ km, it is possible to formulate some general conclusions. 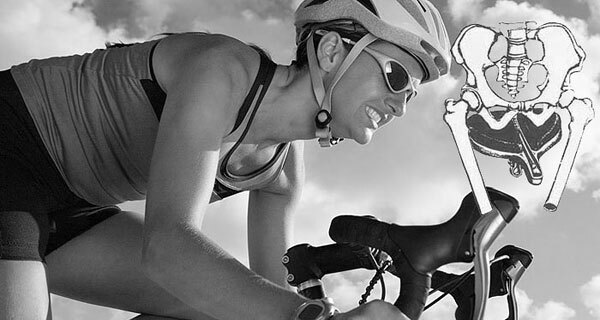 The bicycle saddle rigidity should provide total distribution of load between buttocks bone bumps (constant load) and the surrounding soft tissues (short extra load). This greatly depends on the structure of body, weight, pain threshold, but nevertheless a man knows himself well enough to probing the saddle in a shop or carefully reading the reviews. Diaper can strongly distort the characteristics of the saddle. Also the elasticity and stiffness of any gel inserts in diapers is deteriorating, the diaper worn much faster than saddle. Therefore, for long distances better to choose thinner diaper which was engaged only in its “core business” – removal of moisture. In general, acceptable rigidity of the saddle for long trips you can “count” from the hardness of one-piece-molded leather saddle. We need to try not to go on the first “wow effect” from the saddle when “fitting” in the store or on the bike a friend. Such an effect like “just want the same” may be the evidence of excessive softness of this seat for you.